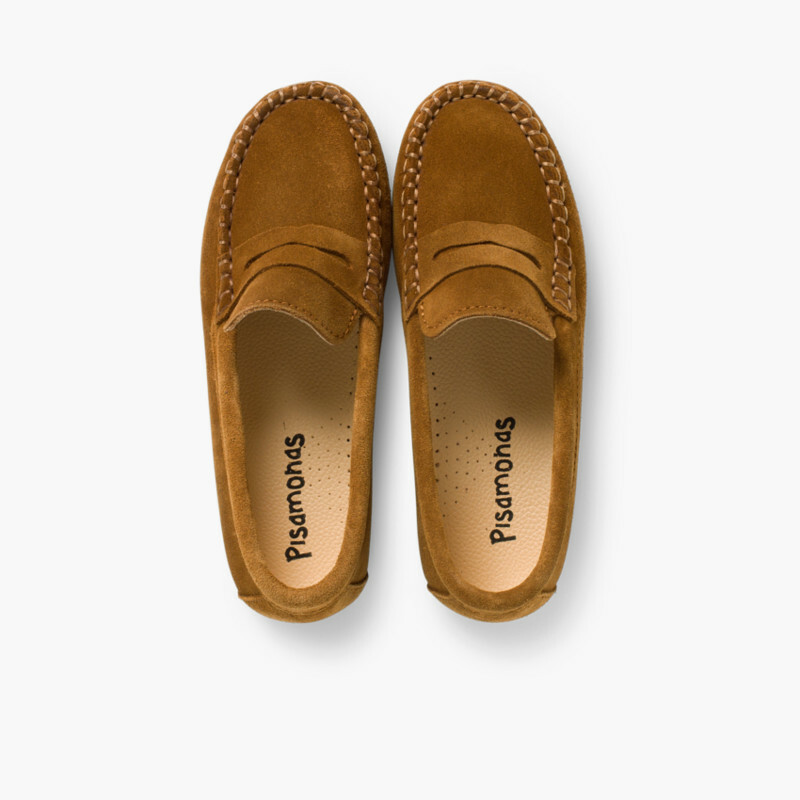 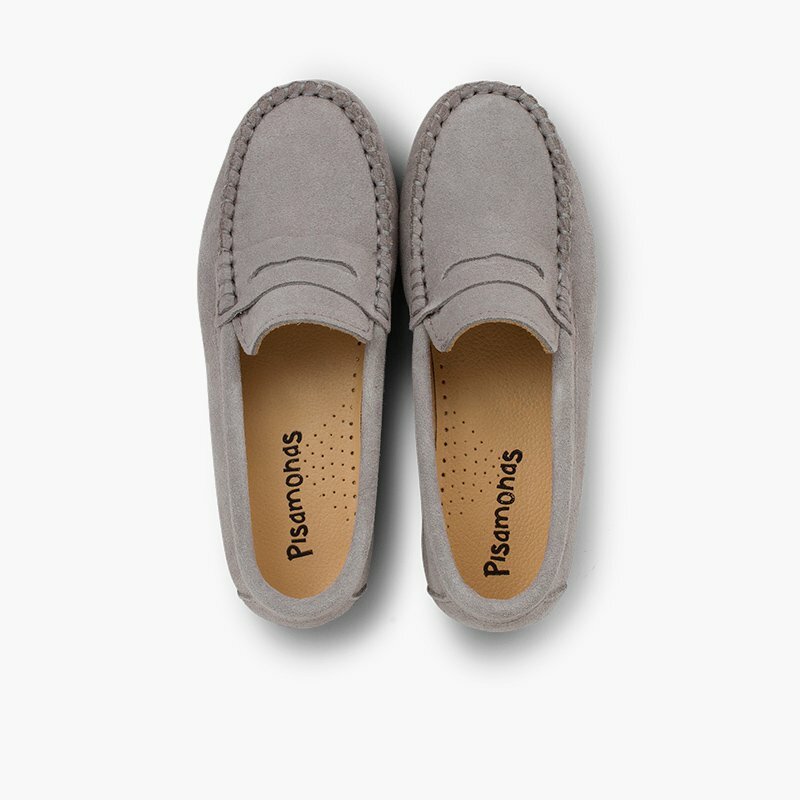 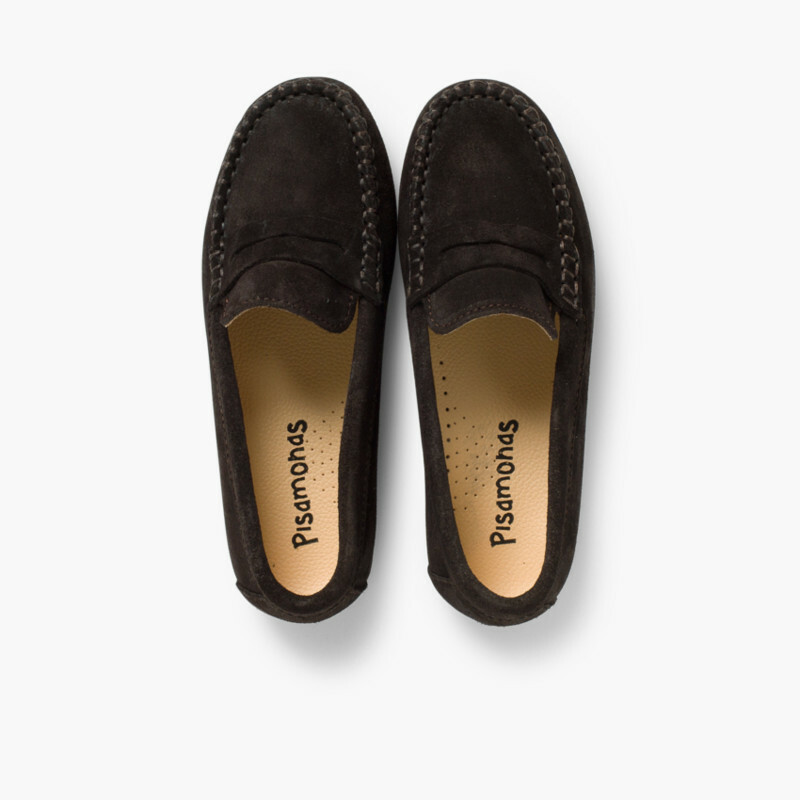 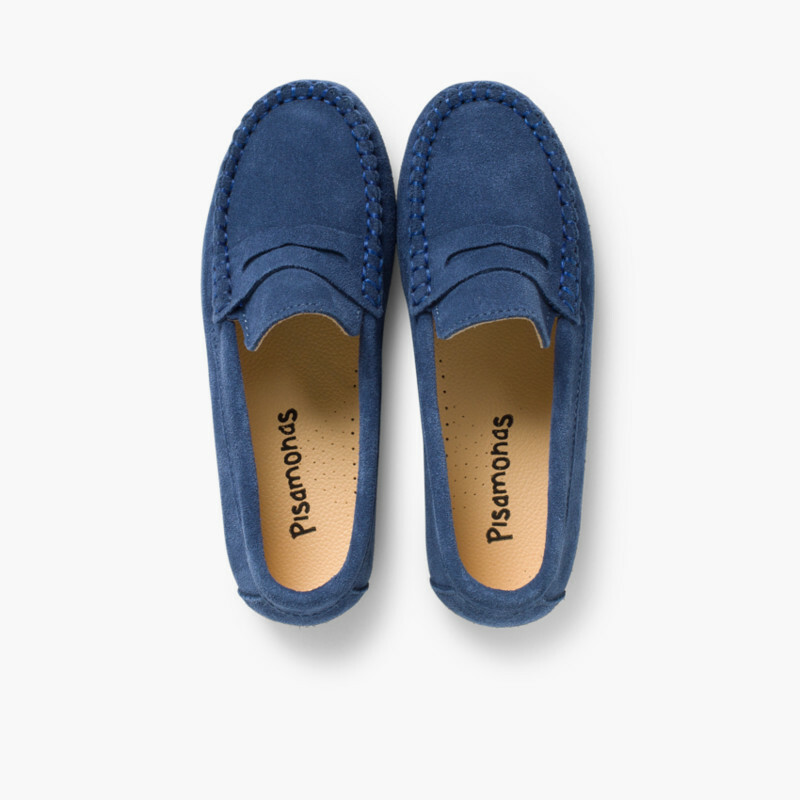 Classic and elegant loafers for boys, premium quality and easy to match. 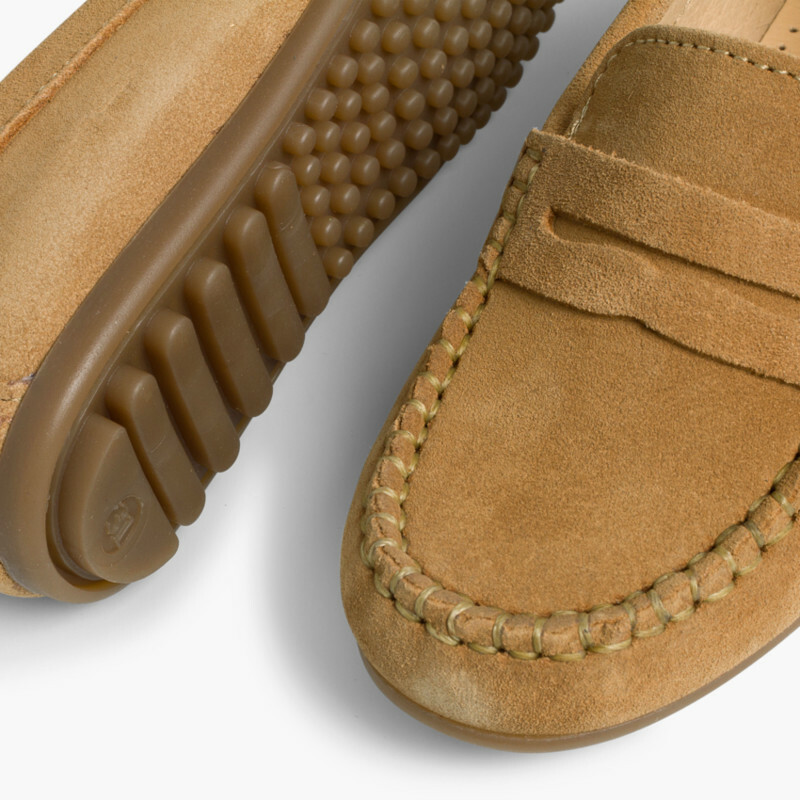 Finished with the classic mask strap. 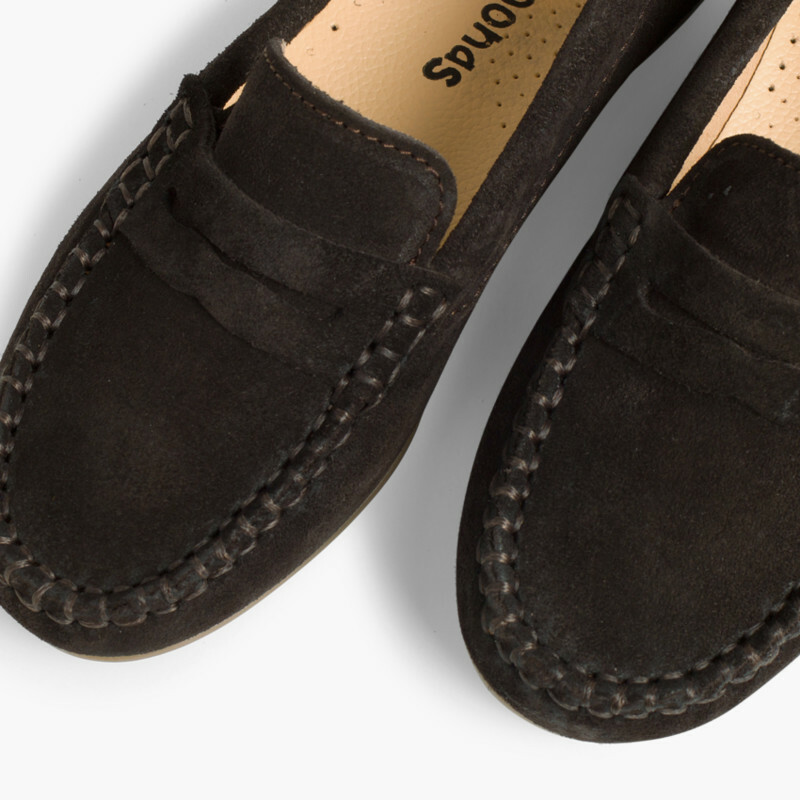 Suede uppers, and lining that guarantees correct breathability. 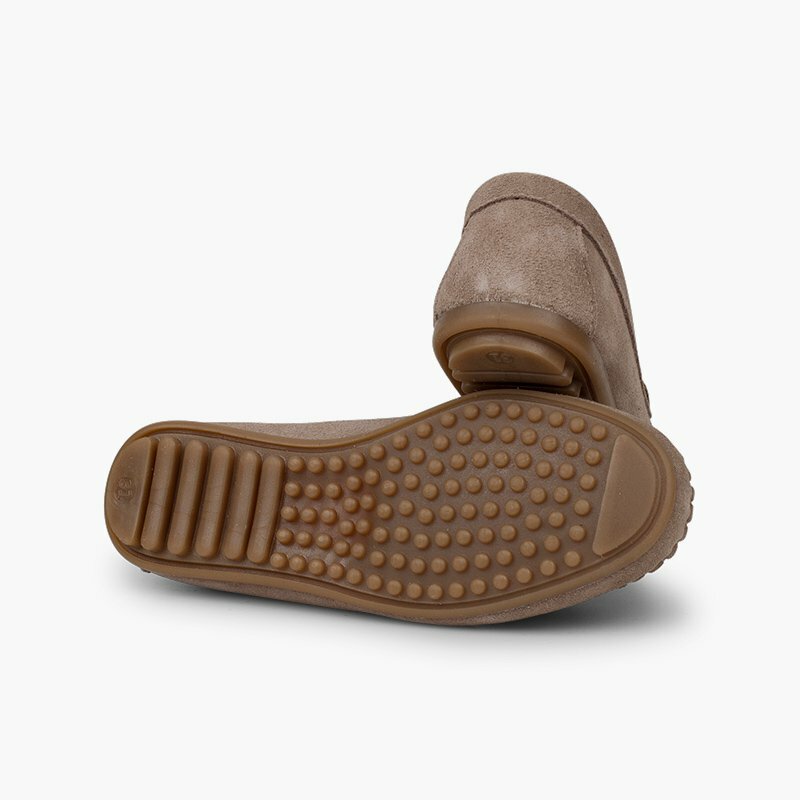 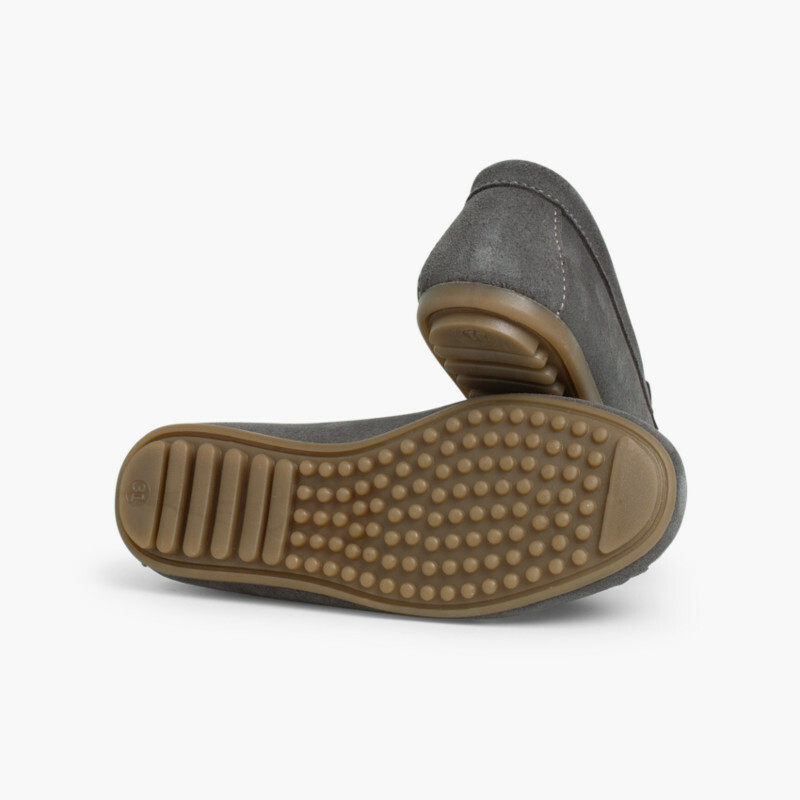 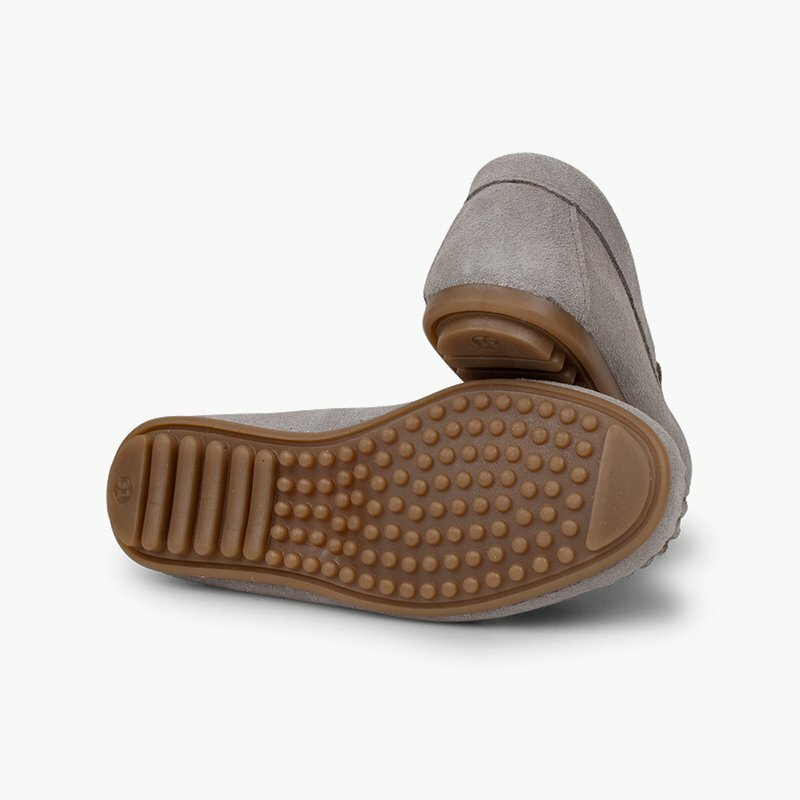 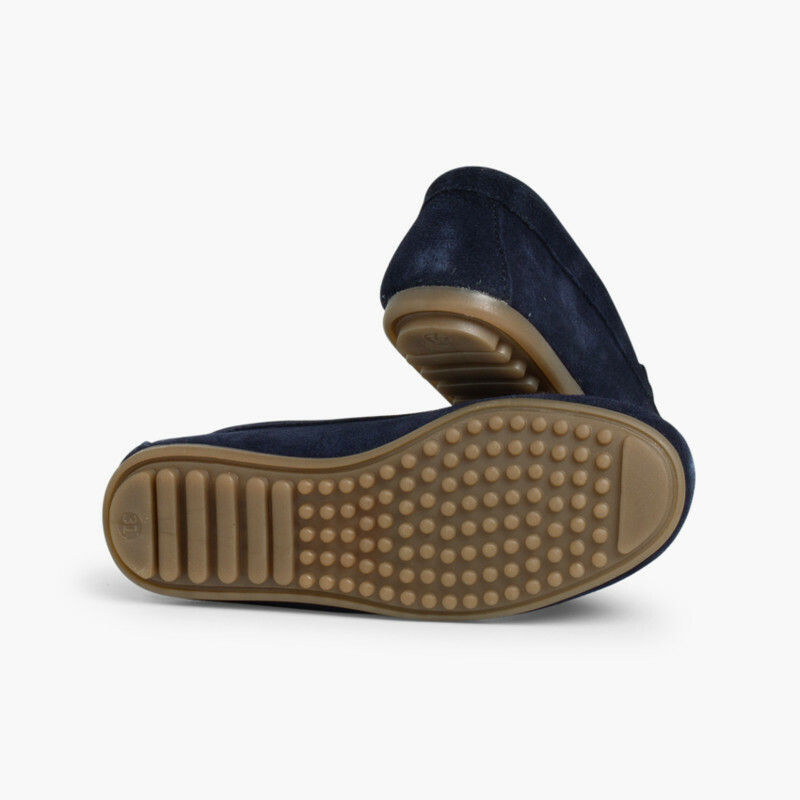 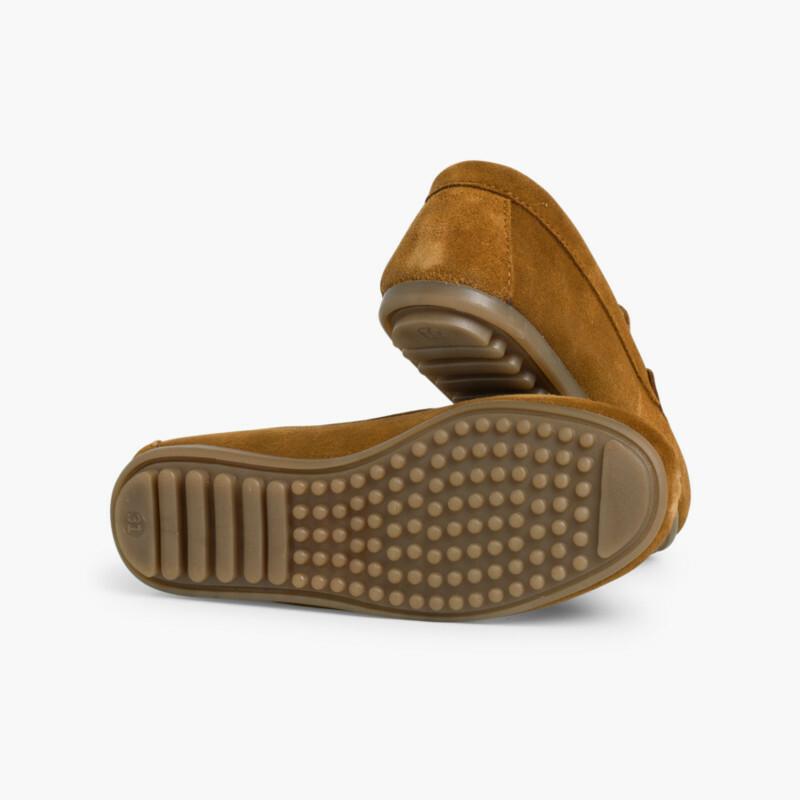 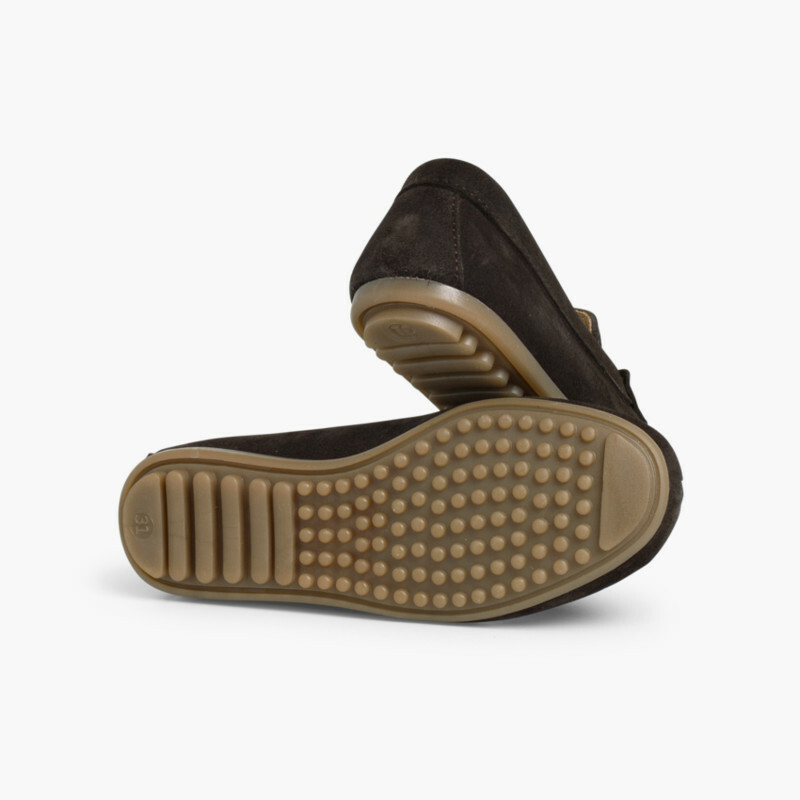 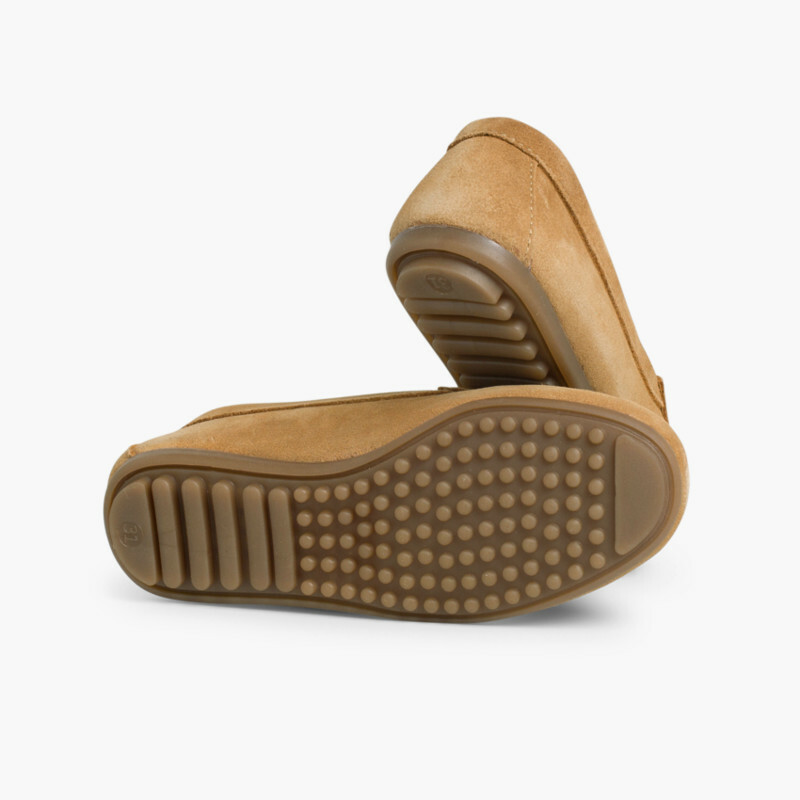 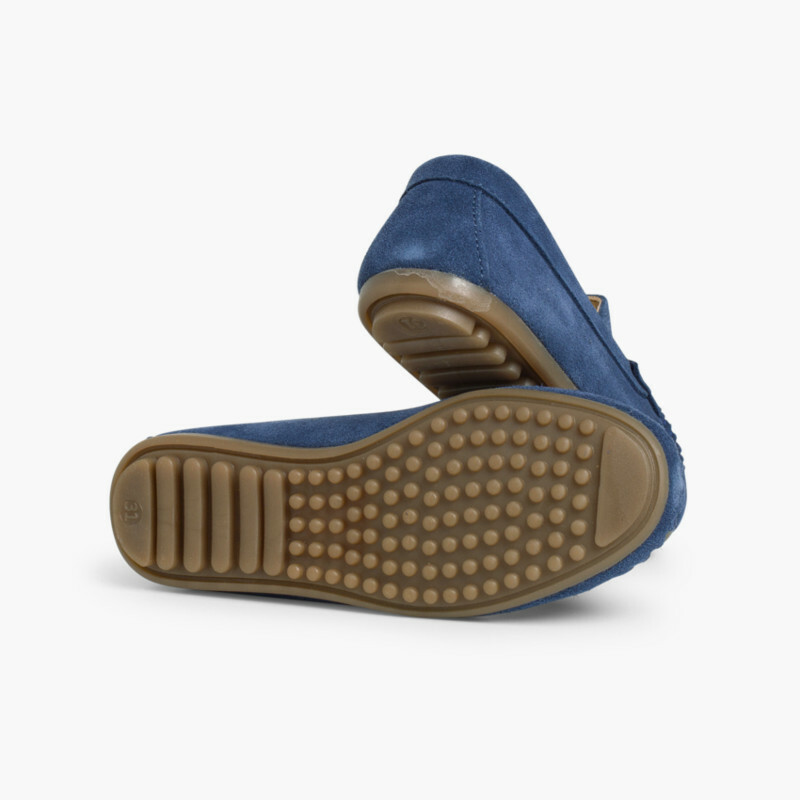 Flexible leather insoles for a more comfortable wear and anti-slip rubber soles for a better grip. 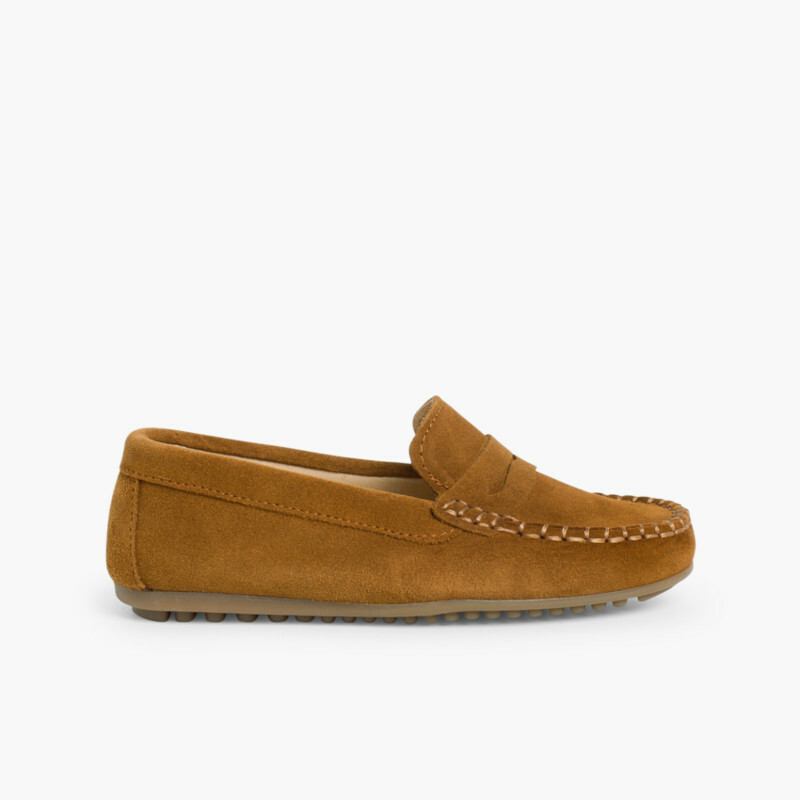 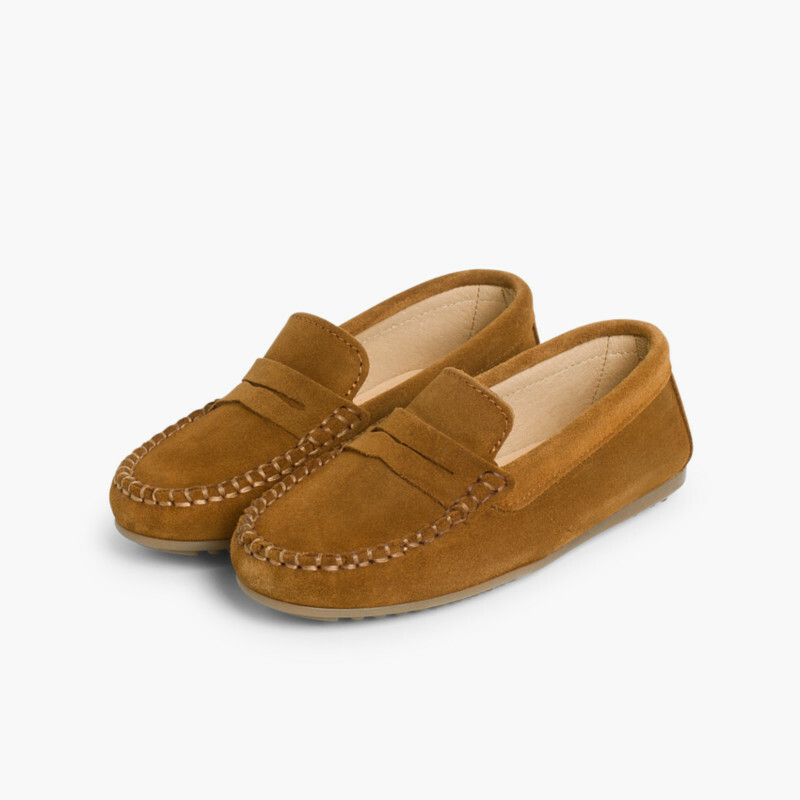 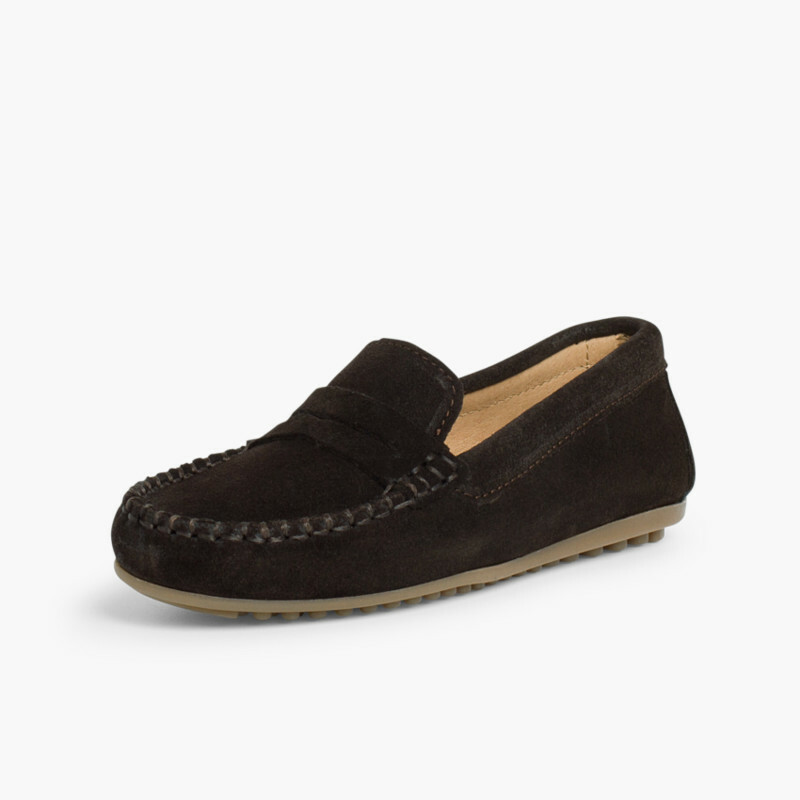 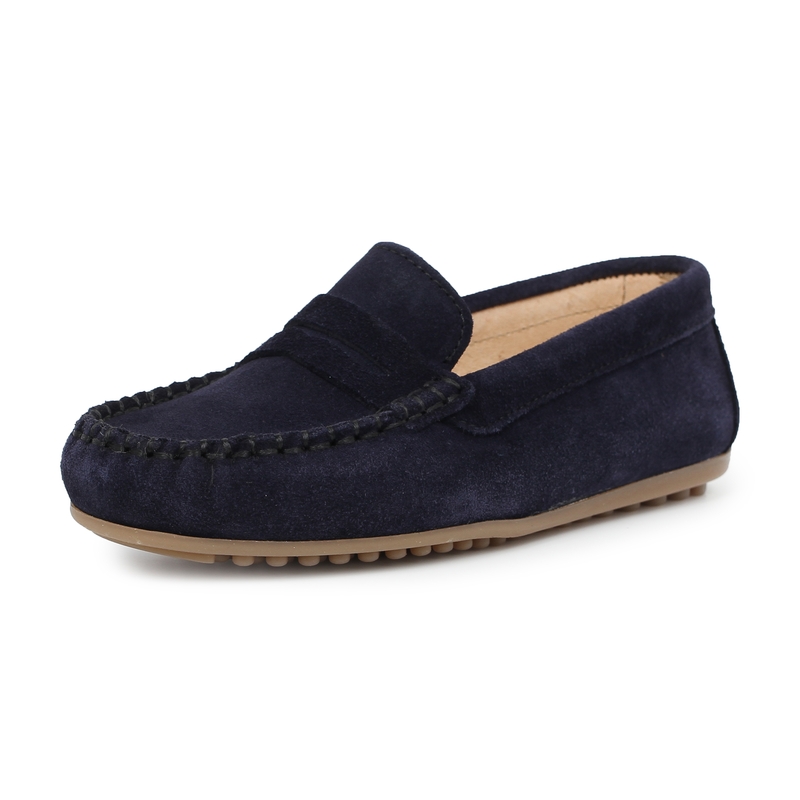 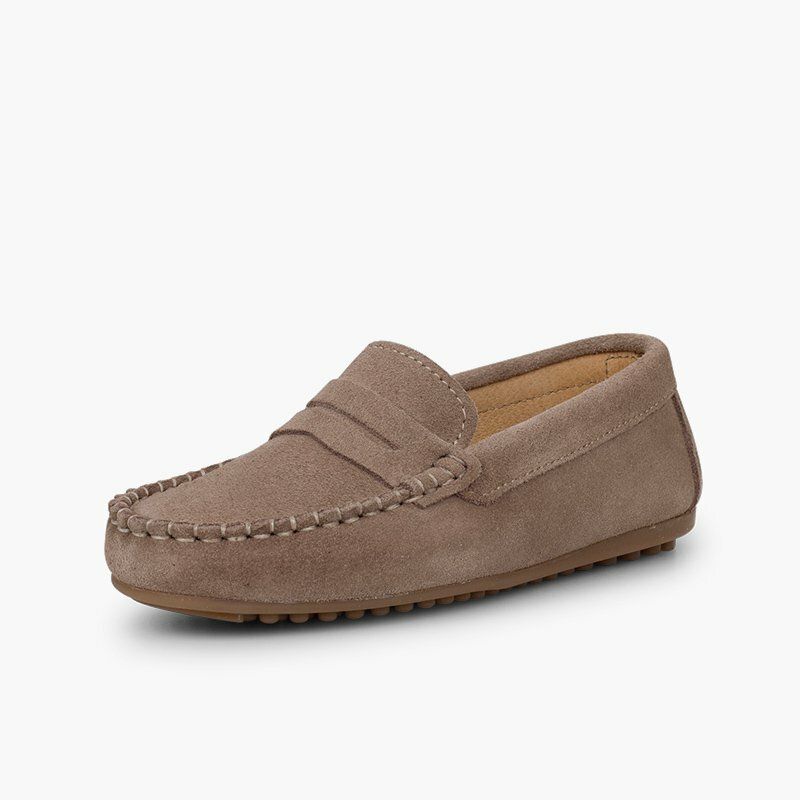 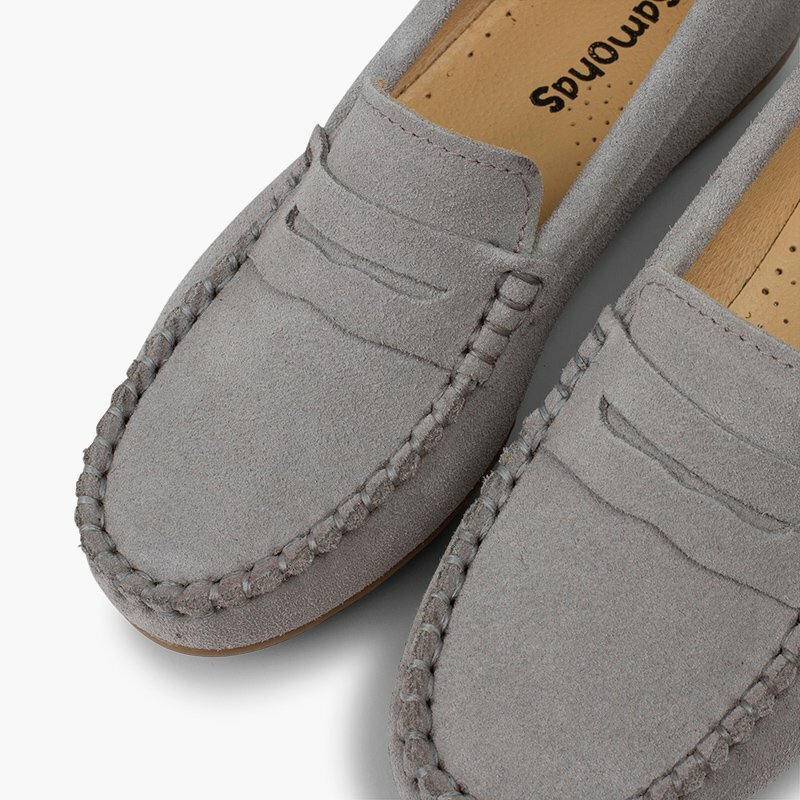 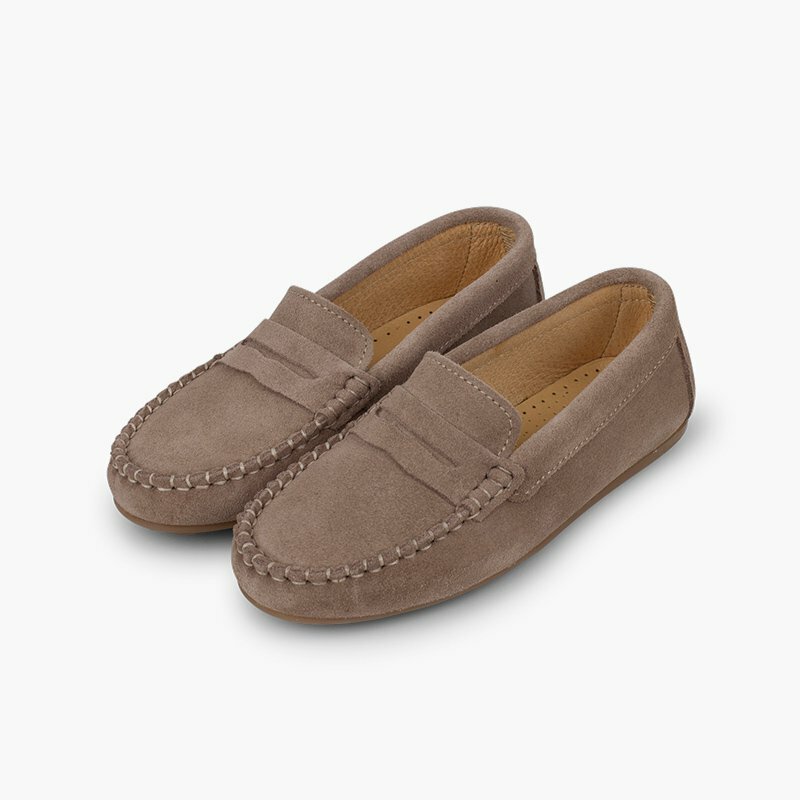 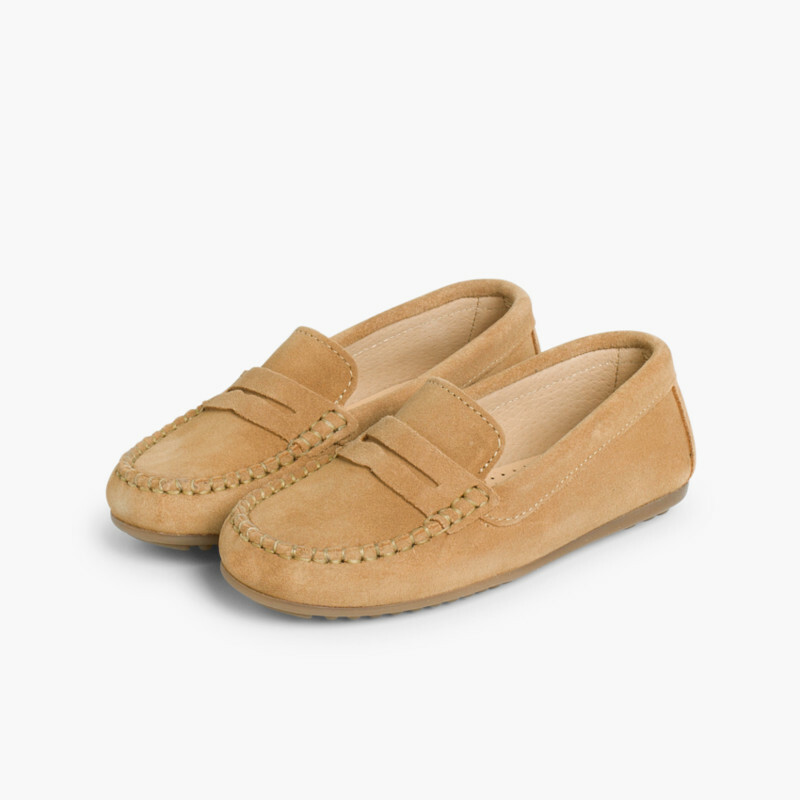 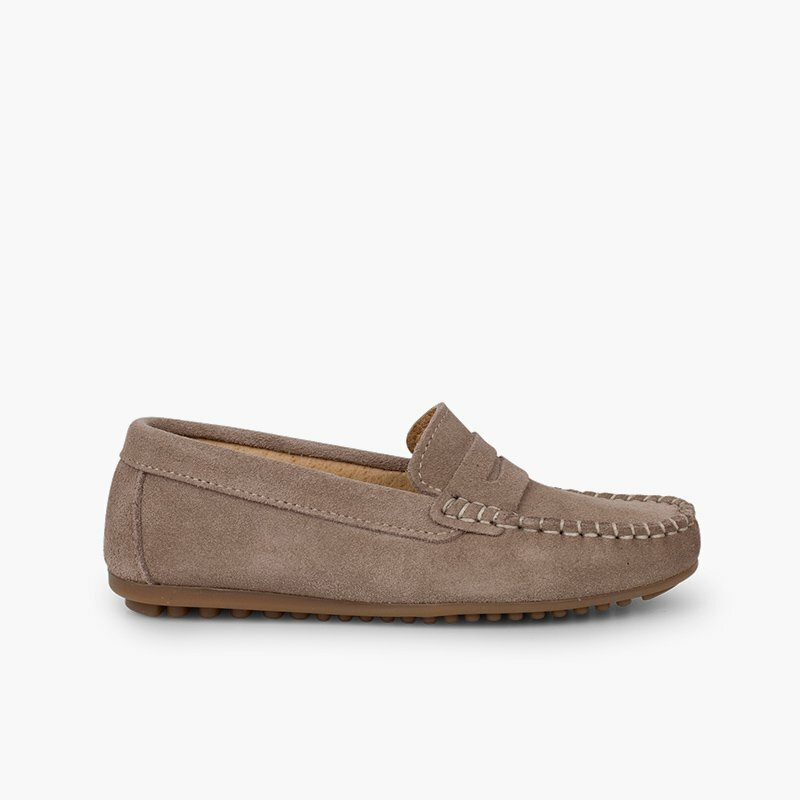 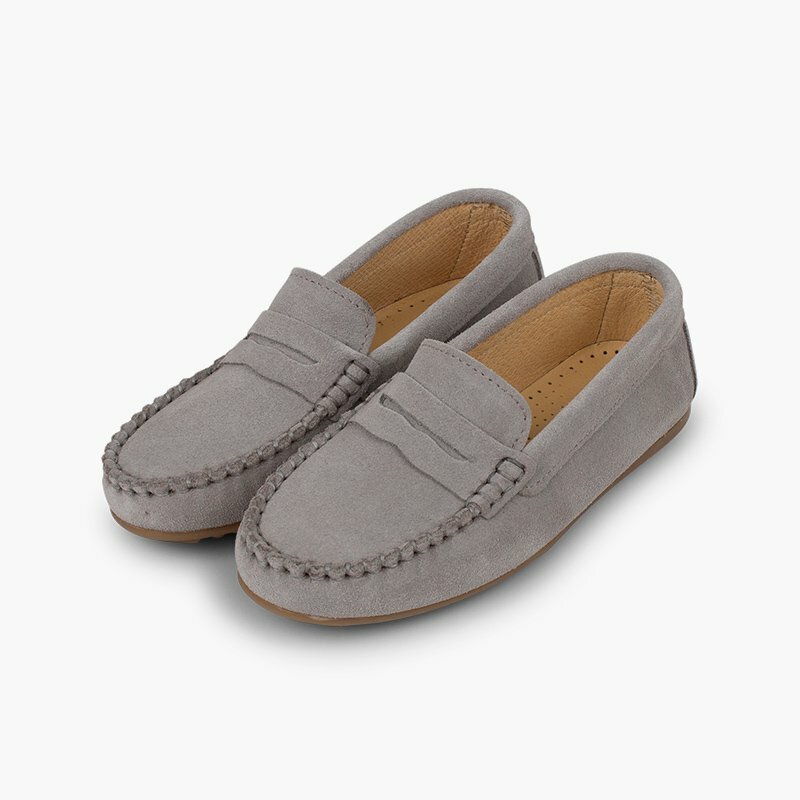 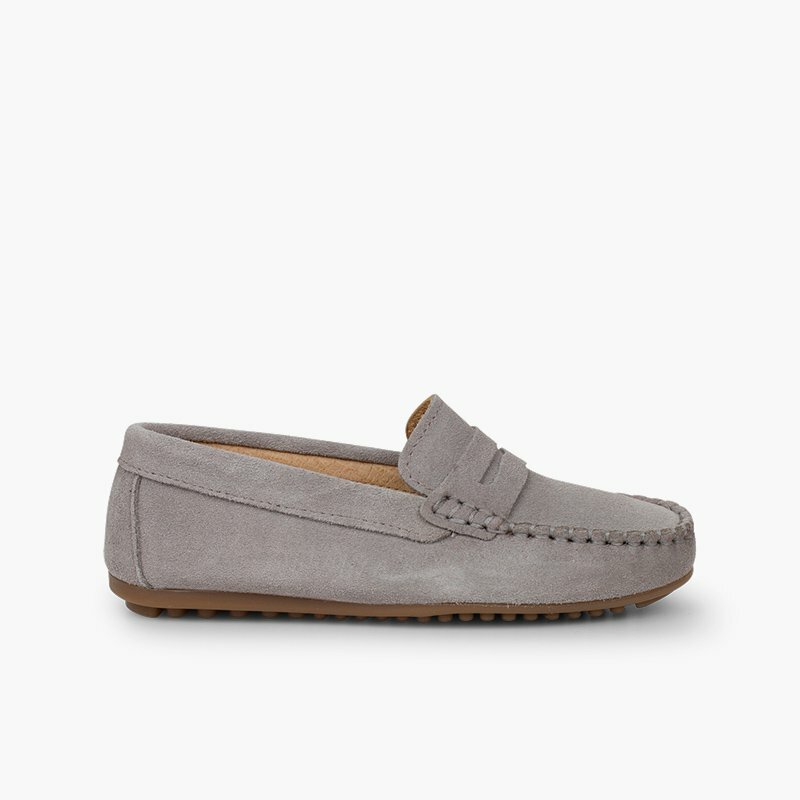 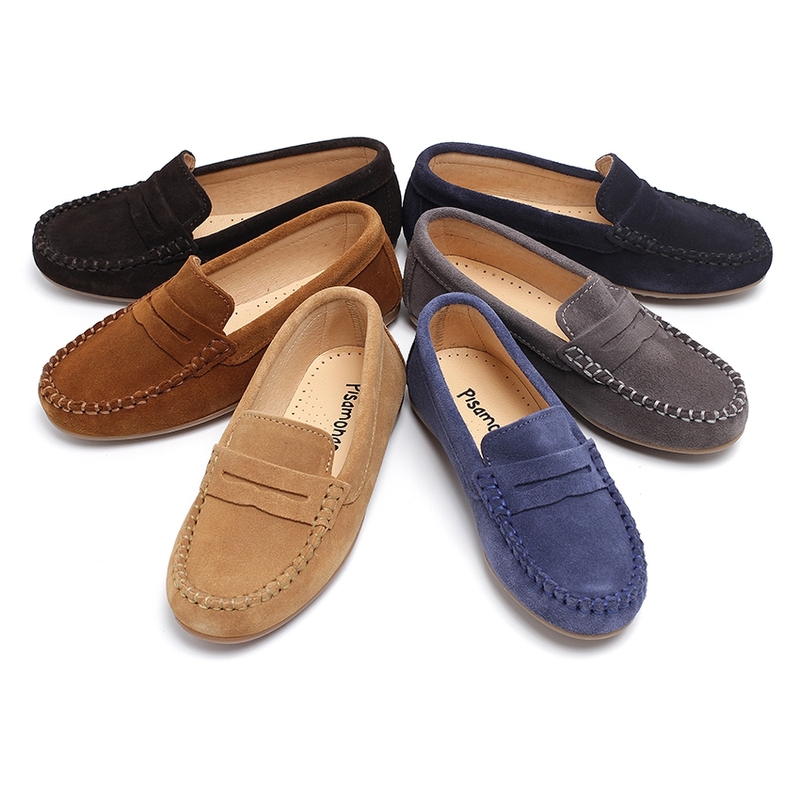 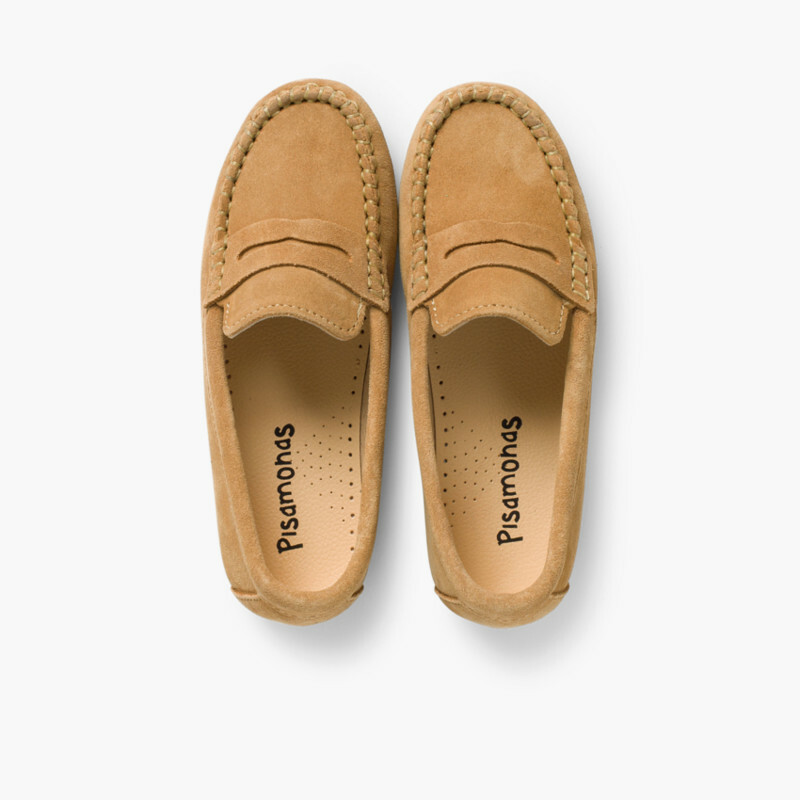 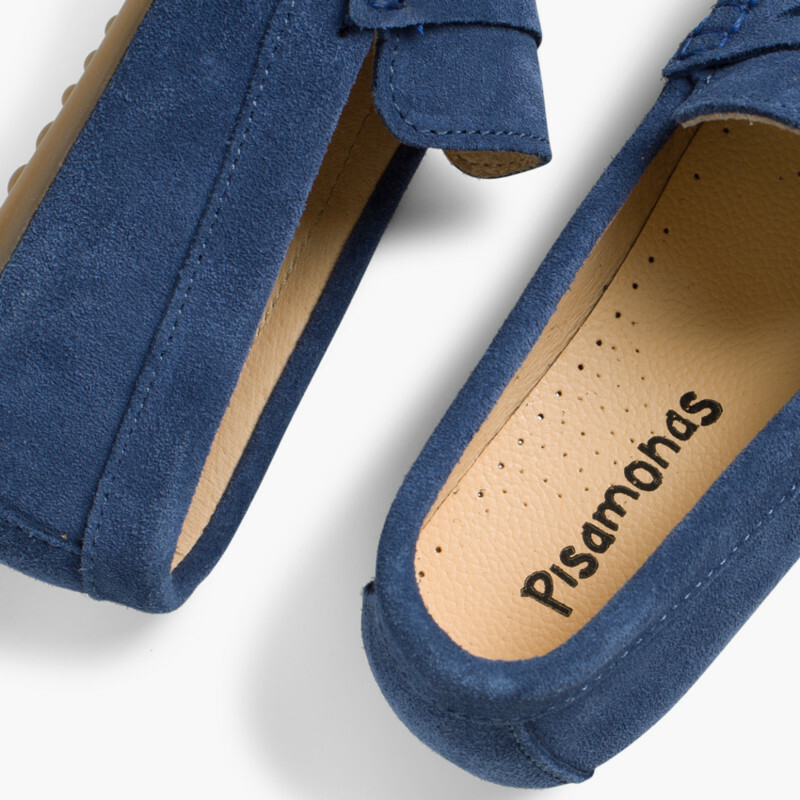 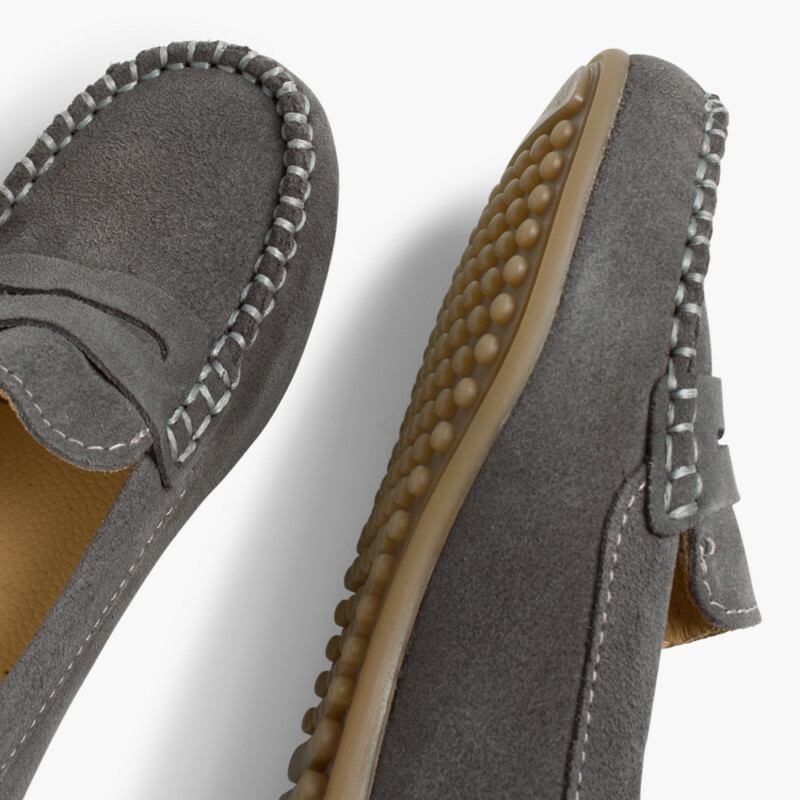 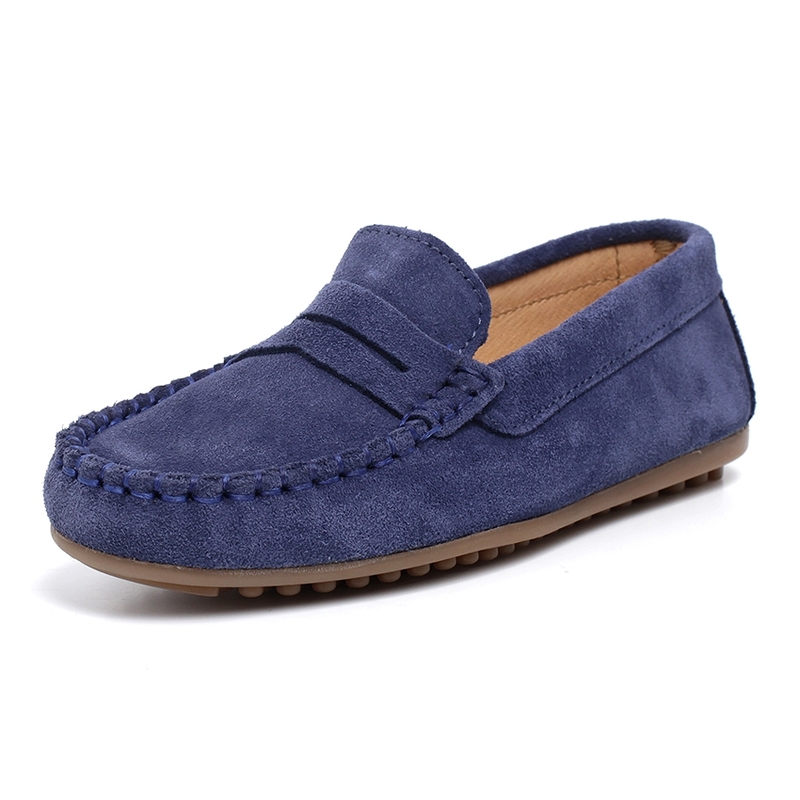 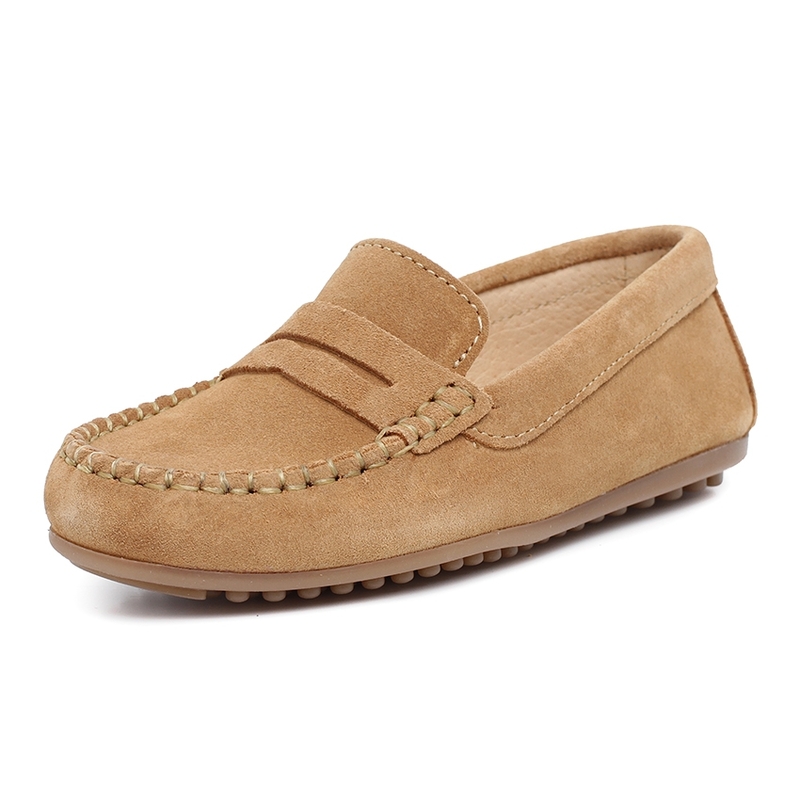 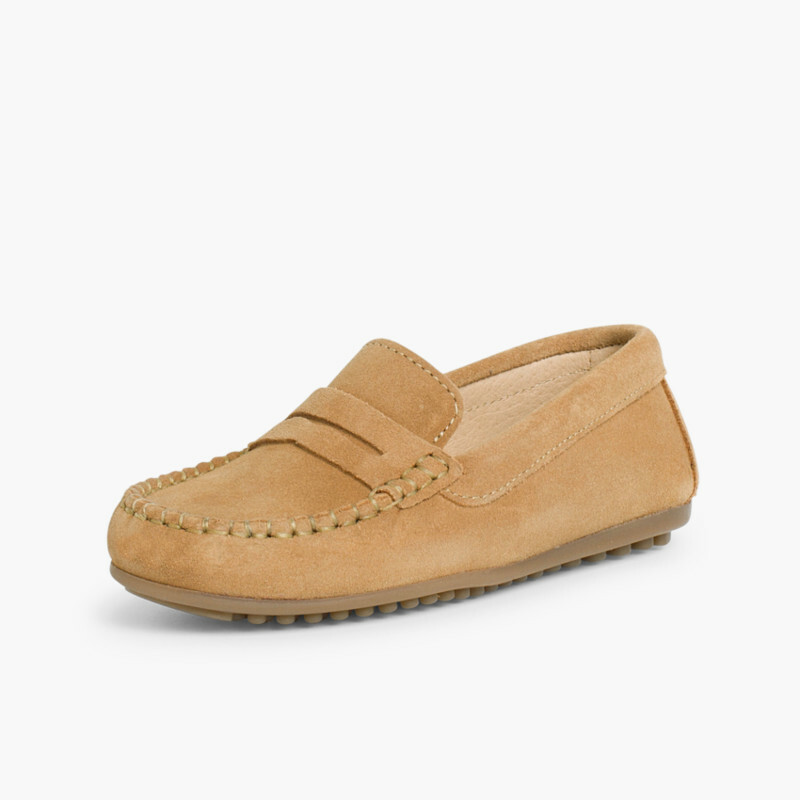 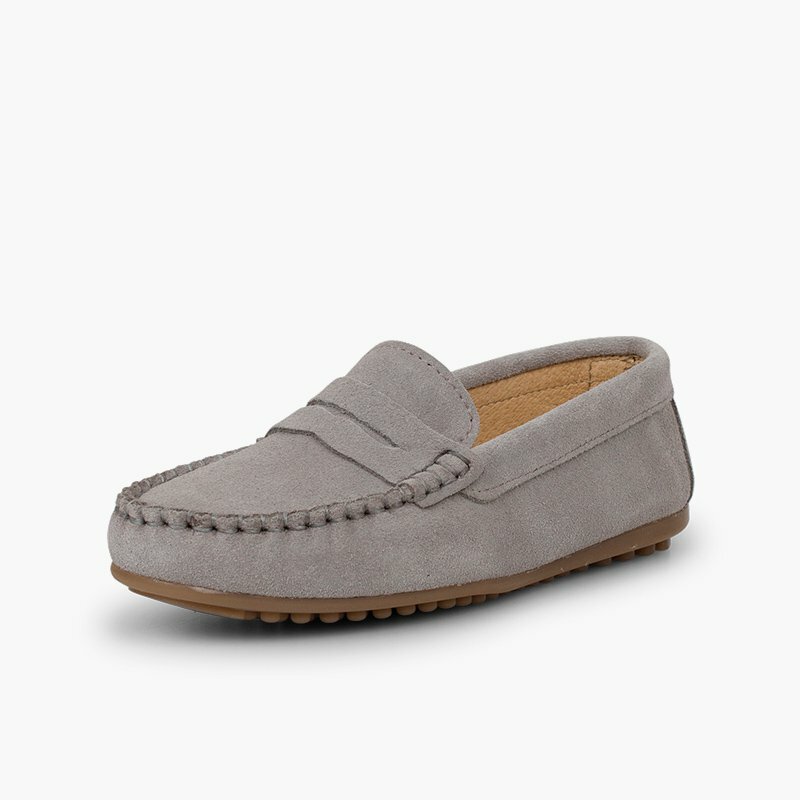 Quality kids loafers and moccasins made in Spain, find them cheaper here. 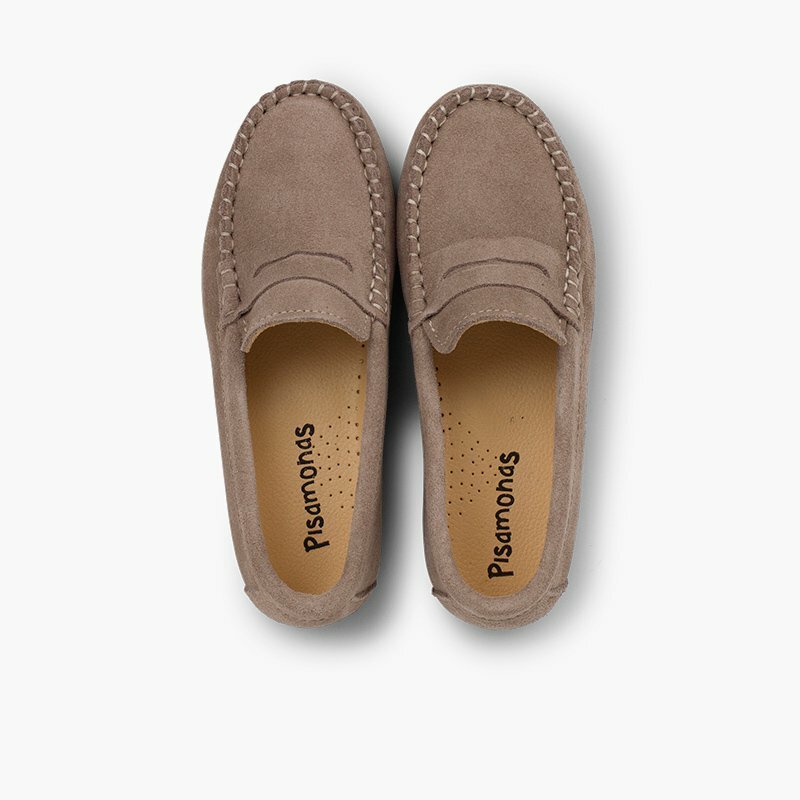 This model is slightly longer and larger in width than usual, so if you don't know what size to pick, choose the smaller one.